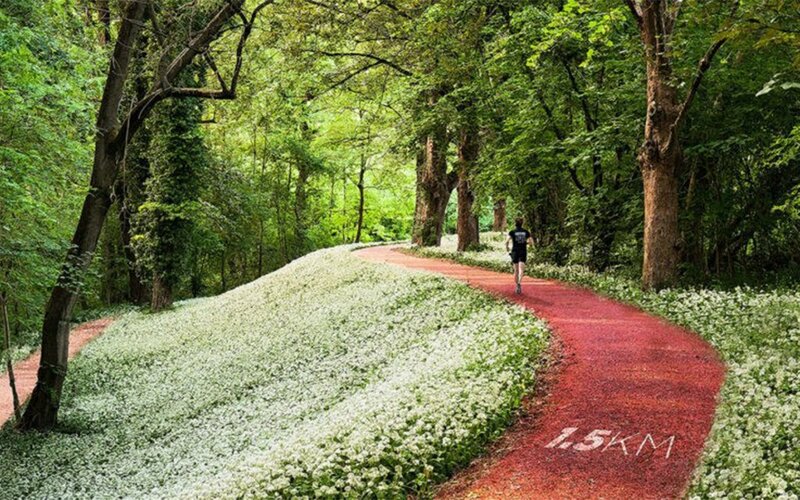 This is not your average walk in the woods. 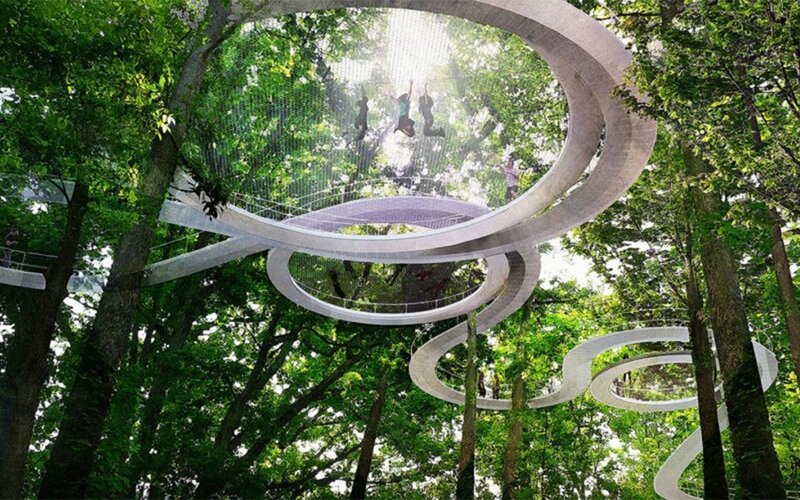 A concept for a public park in Istanbul proposes to install a suspended pathway with a series of integrated trampolines to a wooded area six miles north of the city center. It’s called Parkorman, and it was conceived to make people who lack access to nature fall in love with it. 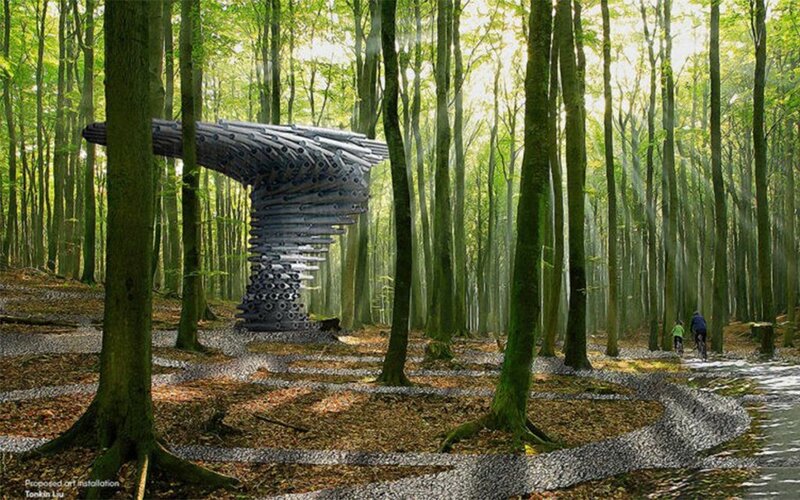 The design firm behind it — New York’s Dror — was inspired by the concept of pollination: throughout the park, various installations “seed” the landscape, while visitors move from one stage of the park to the next via a series of “branch”-like walkways. 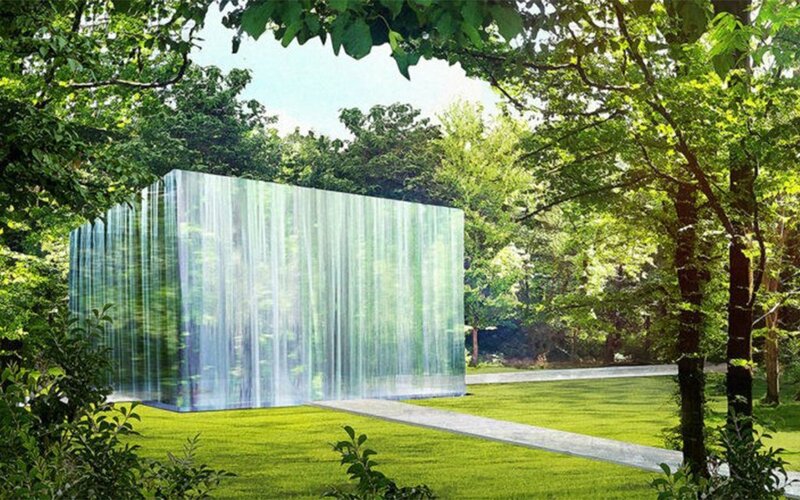 In one example, a porous, grid-like path leads to a giant sculpture; in another, a floating platform will house a giant trampoline that bounces people around in the canopy. If every city had one of these, we’d all be a little eco-friendlier.